It’s every parents worst holiday nightmare…where’s special teddy? Did you leave him at home? Has he been flung overboard? Or did you end up leaving him in the hotel room? We’ve had several close shaves of our own, including asking for special teddy to be posted home after being left on holiday. Well, this common family holiday hitch has now inspired a children’s cruise book being used by Carnival UK employees to raise money for charity. 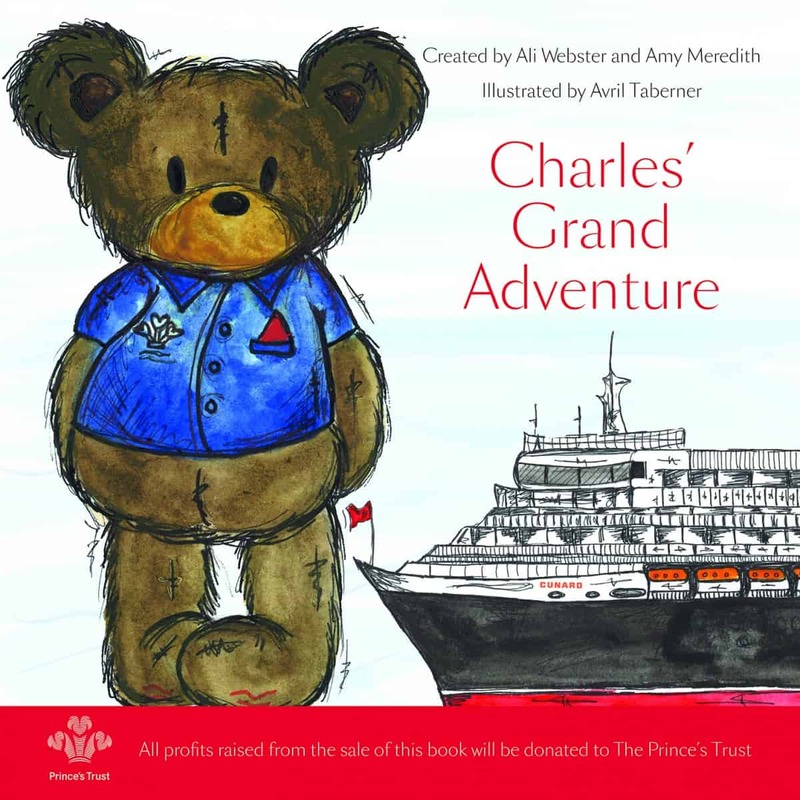 Charles’ Grand Adventure shares this adventurous bear’s experience onboard a ship after being separated from his owner. Who looks after him? Where does he go? A little clue – it might well involve some behind-the-scene venues that other guests don’t usually see. We’re all ears!! The book is being championed by a team of 14 Carnival UK employees who are taking part in The Prince’s Trust Million Makers. Million Makers is an entrepreneurial fundraising challenge which sees teams of employees from companies across the UK competing to raise at least £10,000 or more over a period of six months for The Prince’s Trust. Collectively the teams are aiming to raise £1,000,000 to transform the lives of disadvantaged young people around the country. This lovely keepsake book is ideal for young cruisers and would be great bedtime reading ahead of a voyage. Maybe something to add to the Christmas list if you’re planning a family cruise in 2018? You can get your paws on this delightful rhyming picture book with full of colourful illustrations from Friday 6 October 2017 priced at £7.99. Register your interest pre-sale or buy the book from October on the Charles’ Grand Adventure website.